This post is part of a series authored by our collaborators on the Intertextual Networks project. For more information, see here. My project for the Women Writers Project explores an oft-cited, but rarely studied, mother’s advice book: M. R.’s The Mothers Counsell, or Live Within Compasse (1631). Compared to other seventeenth-century mother’s advice books, blessings, and legacies, such as Dorothy Leigh’s The Mothers Blessing, Elizabeth Clinton’s The Countesse of Lincolnes Nurserie, and Elizabeth Joceline’s The Mothers Legacie to her unborn Childe, M. R.’s Counsell is either ignored by critics or disparaged for what most critics identify as its derivative, formulaic writing style. M. R. is also criticized for misogynistic attitudes towards women in her written advice to a daughter, which appears to endorse and reinforce a limited and conservative feminine ideal. In studies of women’s writing or mother’s advice, it’s therefore a text usually mentioned only in passing or in a footnote. My work for the Women Writers Project is part of a larger book project on “maternal figures,” a study of figurative language strategies (depicted or personified as mothers) and fictional and actual mothers who gave their daughters instructions in the uses of these rhetorical devices. In this book project, I explore representations of a wide variety of these “maternal figures” and I argue that mothers were at the center of thought in early modern England, that mothers were both a shaping force for and participants within early modern rhetorical culture. M. R. is one of many mothers who teach their daughters rhetorical strategies; specifically, M. R. teaches her daughter such “maternal figures” as the notebook method, proverbs, and the gathering and framing of “sayings” (more on sayings below). In my WWP project, I focus on the intertextual nature of M. R.’s advice book, planning to show that, like many male editors of the period, M. R. acts as a compiler of her own commonplace book, but even beyond compiling quotations, she makes these quotations her own, transforming them, whether she edits sayings to suit her own purposes, repackages the sayings under new titles and categories, reworks and reframes them so that they become unrecognizable as others’ quotes, and ultimately, composes her own original work by “translating” quotations into her own writing. Therefore, I reassess M.R.’s The Mothers Counsell by putting it into new contexts. Doing so, I do not simply consider its links to the genres with which it has always been in conversation (mother’s advice books and maternal legacies). I also analyze it in a more substantial way, reading it as as a text uniquely positioned to show us several important aspects of early modern textuality and intertextuality. As I plan to show, it is the very intertextual nature of M. R.’s Counsell that sets it apart from other mother’s advice books; its intertextual character also provides us with a unique example of a woman collecting, editing, and then making public her commonplace or miscellany book. My WWP project will discuss a variety of M. R.’s source materials while analyzing the range of rhetorical strategies (those “maternal figures”) that M. R. used to both draw on and work against her sources, including her deliberate choice to obscure her identity, her views on chastity, her uses of section headings, her own understanding of textuality and its relationship to women’s speech and writing, her tongue-in-cheek attitude to her sources and to the construction of women in male-authored texts, and her maternal vocabularies and allusions. In this blog post, I’d like to share a very few examples of what I’ve discovered in my reading of The Mothers Counsell. First, a few notes about the structure and some conventions of Mothers Counsell. The advice book is divided into four sections (with four corresponding subsections), each of which is a “point” on a moral compass about which M. R. instructs her daughter (thus, the subtitle of the book, “Live Within Compasse”). Additionally, each of the four points includes its opposite behavior in the four subsections. For example, the book begins with a discussion of “Chastitie,” which is followed by a section on “Wantonness,” what it means to turn “out of compass in chastitie”; thus, M. R. conveys to her daughter the behaviors and actions to be avoided. Each section is primarily written in prose, culminating with verses that comment back on or bring the description of the compass point to its conclusion. with which wise nature did them strongly bind. vnlesse the Heauens them life to lawfull Soueraigntie. Vnlesse the heauens them lift to lawfull soueraintie. Corrupt company is more infectious than corrupt aire; therefore let women be houised in their choise; for that text of thy selfe that could neuer bee expounded; thy companion shalt as thy commentarie, lay open to the world: for it is seene by experience, that if those which are neither good nor euill accompany with those that are good, they are transformed into their vertue. If those that are neither good nor euill consort with those that are euill, they are incorporated to their vice. If the good companie with the good, both are made the better; if the euill with the euill, both the worse: for such as the companie is, such is the condition. Shee that gathereth vertues without Humilitie, casteth dust against the winde, and loesth her labour. Hee that gathereth vertues without humilitie, casteth dust against the winde. He that doth gather vertues together (for estimation and comelinesse) with out the vertue of humilitie, doth as he that openly beareth fine powder in a rough and boisterous winde. Robert Allott, Englands Parnassus: OR The choysest Flowers of our Moderne Poets, with their Poeticall comparisons. William Baldwin, A Treatise of Morrall Philosophie: Wherein is Contained the worthy sayings of Philosophers, Emperours, Kings and Orators. John Bodenham, Bel-vedere or The Garden of the Mvses. Nicholas Ling, Wits Commonwealth. Newly Corrected and amended. William Cecil, Lord Burghley, Certaine preceptes or directions, for the well ordering and carriage of a mans life. Nathan Field, Amends for Ladies. A Comedie. Johann Gerhard, Gerards meditations writing originally in the Latine tongue by John Gerard Doctour in Divinitie, and superintendant of Heidelberg. Robert Greene, Greenes Vision: Written at the instant of his death. Conteyning a penitent passion for the folly of his Pen. John Hooper, A declaration of the ten holy commaundementes of allmygthye God. John Lyly, Euphues and his England. Thomas Overbury, His Wife, With New Elegies upon his (now knowne) vntimely death. But perhaps you’re wondering: “Ok, this is all very interesting, but how did you discover all of this?” I’ll admit that my discoveries began with a rather spotty and shoddy research process, where I wanted to contextualize characterizations of M.R.’s practices as unoriginal or formualic. There was something about that notion that just didn’t sit well with me. At the same time, I was spending a lot of time reading about early modern grammar school and domestic learning processes and knew that commonplace book or notebook methods were encouraged for learning in both the schoolhouse and the private home. And I also knew that it while it was the convention in these books to “collect” quotations or sayings, it was not usually a practice to attribute those sayings to their original authors. Adam Smyth, of course, has made this argument about authorship and verse miscellanies in his monograph, Profit & Delight—particularly the notion that these quotation collections suggest that original authorship a) doesn’t matter all that much and b) would have likely been recognized by the early modern audience. Frontispiece of The Faerie Queene. Wikimedia Commons. For me, Smyth’s arguments became crucial to the ways I thought about The Mothers Counsell. I thought: if M. R. is quoting Spenser, Drayton, and Shakespeare in the few moments other critics have recognized, could it be that she’s collecting sayings from other writers? What if all of the “points” in her “compass” (her aphoristic pieces of advice to her daughter) are sayings originating elsewhere? With these questions, I began the process of Googling quotations (which I recognize is not a most reliable or academic method) and started making connections between the quotations in M. R.’s book and in other early modern commonplace and miscellany books published around the same time as The Mothers Counsell. I found titles of early modern commonplace books through Googling quotations, then began to search those titles in Early English Books Online (EEBO), and started reading those commonplace books more carefully. Also, very recently, through the University of Michigan libraries, I’ve discovered the Text Creation Partnership, which “creates standardized, accurate XML/SGML encoded electronic text editions of early print books” and is in the midst of transcribing texts “from the millions of page images in ProQuest’s Early English Books Online, Gale Cengage’s Eighteenth Century Collections Online, and Readex’s Evans Early American Imprints.” TCP has made it possible for me to use a “find” search with keywords to locate possible texts, quotations, and sayings, expediting the process of locating M. R.’s sources, while also searching in original sources, rather than Googling. One of the primary problems with my research and my study of this mother’s advice book is that I’m not always sure I’ve tracked down the “correct” source. Many of these texts exist in several editions with multiple printings, some of which are edited themselves throughout the years. For example, Baldwin’s Treatise of Morall Philosophie appears in 22 editions on EEBO and many of the subsequent seventeenth-century printings expanded the original. Similarly, Lord Burghley’s Certain Precepts is listed on EEBO in five printings, but was also published under several different titles, and was expanded beginning in 1617. 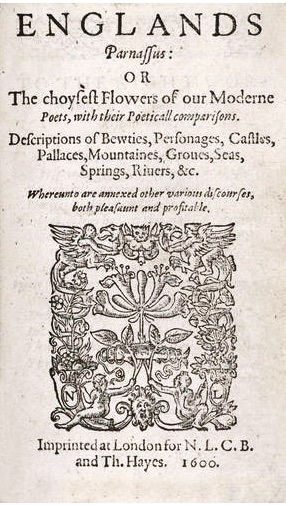 Ling’s (and/or Bodenham’s) Politeuphuia (a text that is attributed at various times to each of these authors) exists in 24 printings; there is also its companion, Palladis tamia, which doesn’t appear to be as popular with only three reprintings. Thus, when it comes to edition choice, I am trying to use my best educated guess. Given publication dates for Englands Parnassus (1600), Bel-vedere (1600, 1610), Burghley’s Certain Precepts (1611-1637), Greenes Vision (1592), and Amends for Ladies (1618, 1639), and how they correspond with M. R.’s publication date (1630 or 1631), my best guess is that M. R. selected editions for her sources that were published primarily between the years 1615-1620, with only a few exceptions (Greenes Vision, for example). The eyes are the instruments of lust, therefore make a couenant with them, that they betray not thy heart to vanitie. But ‘tis the onely vice, one worst and odde. All other vertues daughters are of will. Beautie in this world is the delight of an houre, and the sorrow of many dayes; but in the world to come, eternall rest and long ioy. Shee that is an enemy to beautie is a foe to nature, and shee that doats on beautie is a high traytor to nature. Beauties that should be concealed, grossly discouered, are faire signes hung out to entice to an unhospitable June. When it is of sophisticated features. Neuer wish impossible wishes, for it expresseth but a wanton passion, or a most greedy couetousnesse, both grounded on folly. As a woman without humilitie is vnpleasant, so humilitie without seueritie draweth neare to prostitution. Pride did first spring in men from too much abundance of wealth, in women from too much trust in beautie, and the flattery of men. I’m not sure what to make of this. Did I hit a wall with my search process? (Entirely possible.) Are these quotations in sources that are no longer extant? (Also possible.) Are these quotations in sources that are in libraries that I haven’t had the opportunity (or financial means to) visit? (Absolutely possible.) And if so, how to find these proverbial quotes in all of those haystacks? Or, on the other hand, could these quotes, usually added as clauses to complete sentences, be M. R.’s own additions, her own original writing? If any of you, the good, smart people reading this blog have any ideas here, I’d be most grateful for your help in locating the sources of quotations, or for any suggestions about improving my slapdash process. In both my WWP exhibit on M. R.’s intertextuality and in my book project on “maternal figures,” I’m ultimately arguing that, when read beyond its surface, M. R.’s Mothers Counsell is a mother’s advice book or a mother’s legacy that is anything but conventional, expected, or conservative. I think such a re-reading of M. R.’s book can encourage us to reassess the mother’s advice, blessing or legacy, especially where this genre’s notions of inheritance are concerned. Since mother’s advice traditionally is read as mothers attempting to write last wills and testaments or to “bequeath” their advice to daughters, as I argue, M. R.’s advice book alerts us to the idea that mothers are also attempting to pass on a rhetorical tradition, a rhetorical inheritance. Frontispiece of Englands Parnassus. Wikimedia Commons. I’m arguing that mothers take this a step further, creating their own texts that can be read, used and re-used, added to, amended, etc. Mothers like M. R. piece together not just advice, but rhetorical devices, advice and figures they understand daughters as needing. Engaging with an early modern commonplace book culture, ultimately, M. R. crafts a text that is meant to teach her daughter (and other women) lessons in how to style one’s public written arguments and how women might offer their public (and perhaps political) counsel. 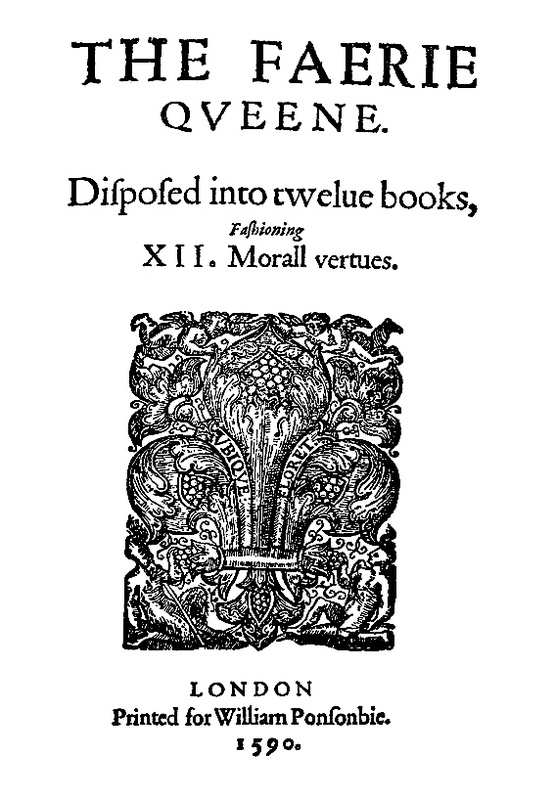 Beilin, Elaine V. Redeeming Eve: Women Writers of the English Renaissance. Princeton: Princeton University Press, 1987. R., M. The Mothers Counsell, or Live Within Compasse. London: John Wright, 1631. Smyth, Adam. “Commonplace Book Culture: A List of Sixteen Traits.” Women and Writing c. 1340-c. 1650: The Domestication of Print Culture. Eds. Anne Lawrence-Mathers and Phillipa Hardman. York: York Medieval Press, 2010. _____. “Profit & Delight”: Printed Miscellanies in England, 1640-1682. Detroit: Wayne State University Press, 2004. Text Creation Partnership. Text Creation Partnership, 2009. http://www.textcreationpartnership.org. Accessed Jul. 2016. Travitsky, Betty. The Paradise of Women: Writings by Englishwomen of the Renaissance. Westport: Greenwood Press, 1981.